Because I have a little puppy fever, I'm posting a puppy picture. This is a Rowan baby...but not one of ours. 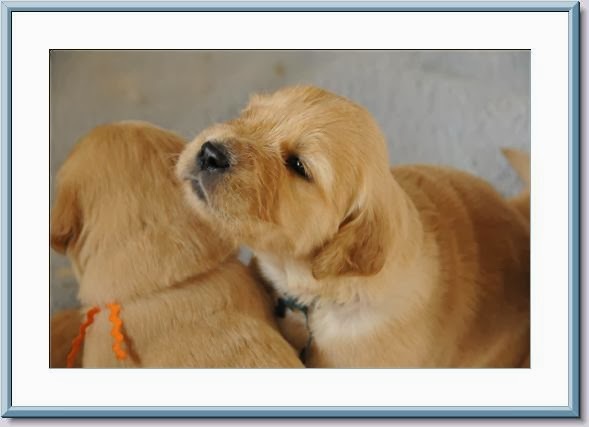 He was bred by Quinleighblu Goldens over in Kitchener...but I think he's very cute and needs to be on the blog!